I am astounded at the portion sized given at restaurants for kids! I recently visited Cheesecake Factory with my family. 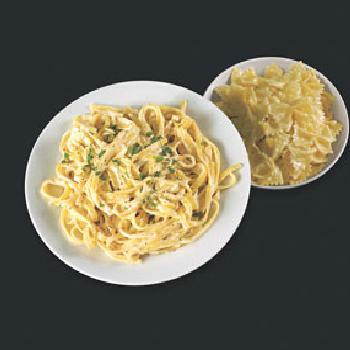 I ordered Alfredo pasta (i know not such a healthy choice) for both of my kids. When it came I was shocked! It looked like a portion size for an adult! My sisters had ordered the lunch portion pasta and the bowl was the same size! 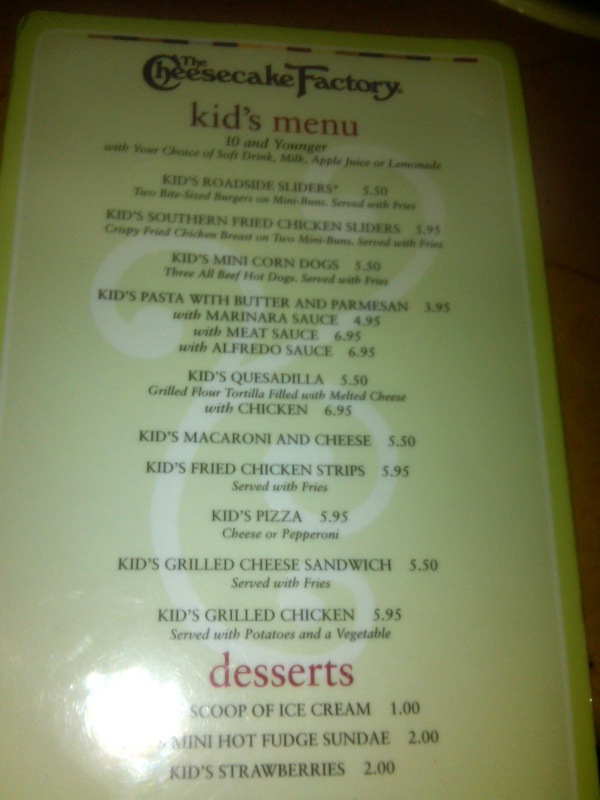 Here is a picture of the kids portion of pasta and the kids menu! I wish there were better choices for kids at restaurants. This restaurant in particular is known for its over sized portions. Well if the over sized portions do not stop we will a lot of over sized people! They do make up for by offering a "skinnylicious" menu, but who would want to even open that menu after seeing how delicious the "real" entrees are. Why don't they just modify the real entrees. Or maybe make them smaller???? Just a thought!